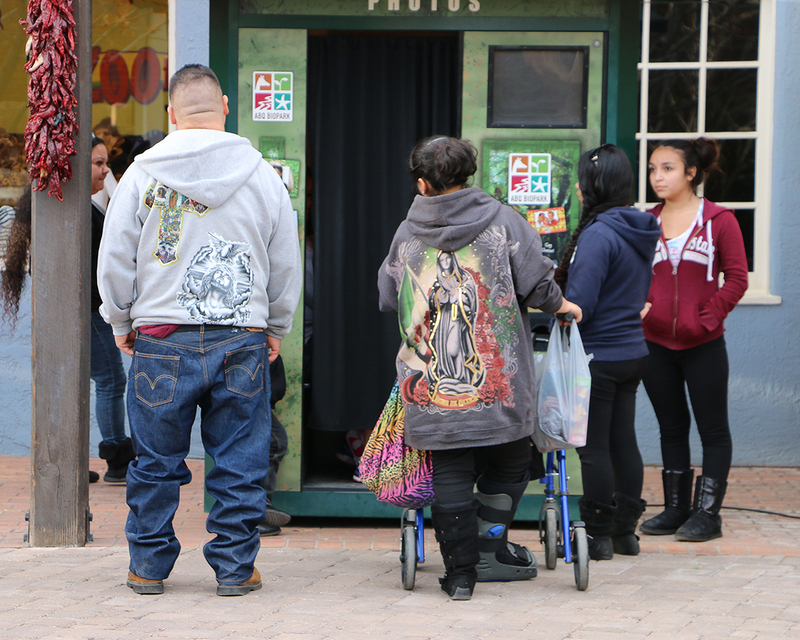 Just ordinary ‘Burque folk, waiting for the picture taking booth at the ABQ Zoo. On that pole to the left of the gentleman’s head is a red object called, a “ristra.” That’s a decorative arrangement of dried red chiles. These are often shellacked if they are to be hung outdoors as a sign of hospitality. People also use them like a hanging spice rack in their kitchens.